264 pages | 10 B/W Illus. Much has been written about the origins of the great push which led Europe to colonise sub-Saharan Africa at the end of the nineteenth century. This book provides a new perspective on this controversial subject by focussing on Europe and a range of empire-building states: Germany, France, Italy and Portugal. The essays in this volume consider economic themes in addition to the political and cultural aspects of the transition from commerce to colonies. Olivier Pétré-Grenouileau is Professor in Modern and Contemporary History at the University of Lorient. 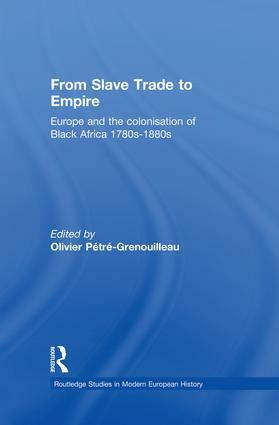 He has worked extensively on the French slave trade and French maritime expansion.